The United States Treasury Department has begun looking into potential fraud in the solar energy space. The matter involves the federal agency investigating the funding that solar panel manufacturers have received over the course of three years. Some lawmakers have requested that the agency provide them with updates concerting the investigation. The concern lies with the belief that some companies have inflated the market value of their products in order to gain access to more taxpayer money. According to Senators Jeff Flake and Lisa Murkowski, as well as others, the Treasury Department has overstated the value of its solar investments, claiming that $1.3 billion in unwarranted grants were provided to some companies. The Treasury Department had intended to publish its findings on the matter in June 2015, but this never happened. 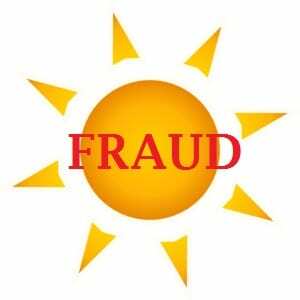 Now, lawmakers are pressuring the agency to release the information it has gathered in order to determine whether or not fraud has actually occurred in the solar sector. According to some lawmakers, the amount of potential fraud in the solar sector is more than two-and-a-half times what was seen during the Solyndra incident. Solyndra was once a prducer of photovoltaic technologies. The company received funding from the federal government, with the Department of Energy investing some $536 million into the company. The company collapsed, however, which instigated an investigation from the federal government. The investigation itself sparked concerns regarding the solar sector itself, leading the federal government to be more cautious with its funding of solar energy projects. Lawmakers are currently concerned that the current program focused on funding solar programs lacks transparency and oversight. These lawmakers believe that these issues could result in taxpayers facing greater financial risks that they would not be exposed to if the program itself were better managed. Since 2009, the federal government has provided some $25 billion in funding, through the Treasury Department, to the solar energy sector in an effort to bolster the use of clean power throughout the country.